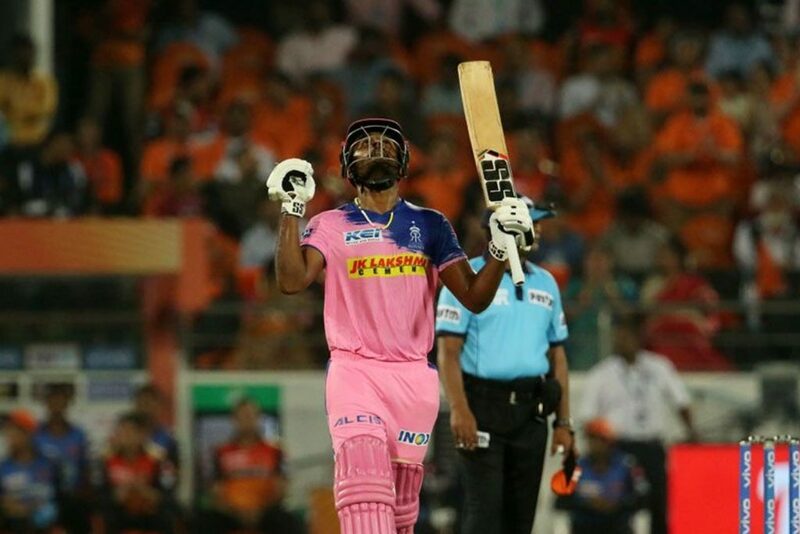 Rajasthan Royals’ batsman Sanju Samson smashed a scintillating ton to earn himself Friday’s Play of the Day award. Unfortunately, it wasn’t enough to defeat the Sunrisers Hyderabad, writes ANITHA MADIKIZELA. Samson was sensational for the Royals in Hyderabad with a fiery 102 not out, which included 10 tantalising fours and four magnificent sixes off just 55 balls (S/R 185.45). His unbeaten stand in the first innings – having won the toss and electing to bat first – helped the visitors to a competitive 198-2 from their allotted overs. The No 3 played with no fear as he took on all of Hyderabad’s premier fast bowlers. The likes of Bhuvneshwar Kumar (0-55), Sandeep Sharma (0-38) and Siddharth Kaul (0-32) all went for plenty in their respective four overs as the right-hander unleashed. He was unfortunate to be on the losing side of the encounter after such a fiery performance with the bat, but Mother Cricket wasn’t on his side this time around. This is the second century Samson has recorded in his IPL career, with his previous ton achieved in 2017 for the Dehli Daredevils against the Rising Pune Supergiants. The 24-year-old, who won the IPL’s emerging player award in 2013, is the only player under 25 to have scored more than one century in the competition to date, and he is tipped by former Australian spinner Shane Warne as one to watch this season. The Royals will look to register their first win of the season when they travel to Chennai for the late match on Sunday to take on the Super Kings, while the Sunrisers will hope to back up their home win with another one when Royal Challengers Bangalore visit Hyderabad in the earlier match on the same day.